From Bitcoin to YouTube, the internet has greatly altered the way humans behave and interact. This is particularly the case in China – the largest online community in the world where everything from online payments to shopping has been pioneered and taken up with gusto. While foreign policy may be thought of as being largely immune to this phenomena, public sentiment amplified through online social media channels is increasingly sculpting Chinese statecraft. There are examples where social media sentiment is forcing the hand of the Chinese government in a way that may not necessarily be in line with government policy. Recent examples of what has been described by as “tantrum diplomacy” show that official responses by the government are often echoed by just as bellicose reactions on social media platforms. One noteworthy recent example of this is the very public confrontations between Huawei and foreign governments. In response to the arrest of Huawei executive Meng Wanzhou in Canada, the Chinese government responded by arresting several Canadians in China. This diplomatic punishment by the Chinese government was mirrored by social media users in China that encouraged a mass boycott of both Apple iPhones and the clothing company, Canada Goose, as a response. This proved to be a major hit to Canada Goose, its stock price dropping by 20% in the following days. This was a response that was very much in line with government policy. Yet the fact that it came from members of the public meant that the influence was cordoned off from official action while still punishing Canada. While such a social media campaign serves the purpose of the Chinese government, there are other examples where social media sentiment is forcing the hand of the Chinese government in a way that may not necessarily be in line with government policy. The breakdown in Chinese-Swedish relations last year was one such example. After a family of Chinese was removed from a Stockholm hotel, this relatively innocuous event caused an online storm in China and became one of the most talked about topics on Chinese social media in 2018. 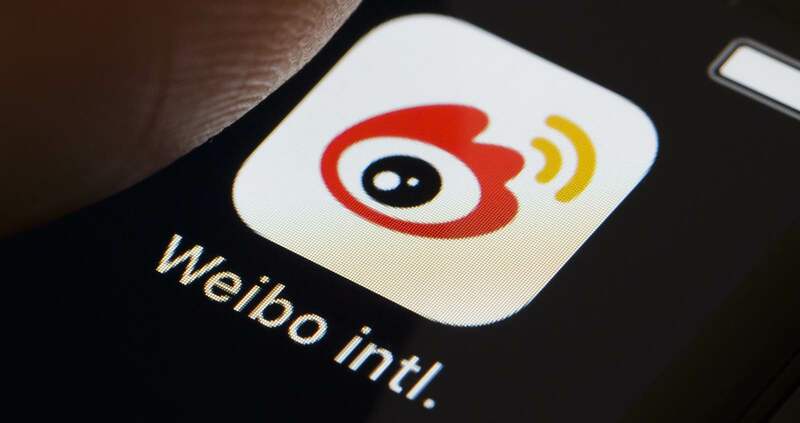 According to one authority on the Chinese social media platform Weibo, two hashtags, loosely translated to “Chinese Tourists Abused by Swedish Police” and “Swedish TV Show Insults China”, received more than 220 million views, making it one of the most read issues on the platform for the year. Incredibly, the social media furore prompted an official response from the Chinese government. Representations were made to the Swedish government and a statement released, accusing the police of brutality and having “severely endangered the life and violated the basic human rights of the Chinese citizens”. The timing of the statement made clear this was a response generated due to pressure from social media, far more than concerns for the safety of family involved. What made the case of the Stockholm hotel incident so instructive was it appears to be one of the first cases of the Chinese government reacting to social media influence, independent of any broader aim or strategy. So what causes this sense of outrage on social media, either real or imaginary? The issue is most likely twofold. First, injustice as a historical narrative in China has a long, and in many cases, justified history. The sense of injustice and humiliation that was inflicted upon China by Western powers throughout the 19th and 20th centuries is not only felt by Chinese political elites but almost the entire country. Having opium forced upon the populace, along with unequal treaties and suffering blatant land grabs has real legacy, which skews commentary of events to create the impression that the world is still attempting to subdue and humiliate China. The second explanation for this social media phenomenon can be sheet home to the Chinese political system. In a country where expression, particularly of a political nature, is censored and highly restricted, the political class and the public seem to have entered into a social contract when it comes to commenting on these sorts of issues. The party will tolerate venting frustration towards foreign entities that cannot normally be publicly articulated towards their own government. All of this may appear to be another hurdle for foreign governments when attempting to developing policies for managing relations with China. However, this can also be seen to be an opportunity. Calls to invest more in developing social media channels would be well heeded. Developing more social media links directly to the people of China can be an opportunity to sway messaging, something that so far, the Communist Party holds a near monopoly over.